Initially released on Cue Records label in 1993, “Different Stories and Twisted Tales” was voted album of the year by German EM radio show, Schwingungen. Reedited and remixed by Groove in 2004, this 9th opus of Ron Boots was concocted with the help of his long time friends; Harold Van Der Heijden and Guido Negraszus on electronic percussions, terrific guitarist Klaus Hoffmann Hoock on "The Call" and Eric Van Der Heijden on synths. Old friends and skilled musicians which oversize the melodious approach of Ron Boots on an album with tangents as diversified as surprising. Loud and resonant pulsatory sequences are hopping and waving on the spectral synth of "Twisted Tales" opening, also choose as the best EM track of 1993. Good strikings of percussions, with a kind of industrial typing sounds, pierce with difficulty a dense mellotron veil before that some solid knocks of drums initiate a first rhythmic bend. A heavy and sustained one beneath a sonorous firmament streaks of synth shooting stars. 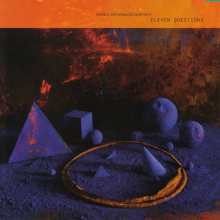 Answering to percussions which resound in stereo echo, the beat intensifies on a skin-tight mellotron and on keyboards chords with crystal xylophone sonorities, where Harold Van Der Heijden's dexterity can be hear in a slightly atmospheric passage, recalling the universe of Klaus Schulze on Dreams. This moment of tranquility frees a rich sound force which guides us towards a mind-blowing final where twisted and serpentine synth solos shout of everywhere, squabbling around percussions which roll on an ambivalent structure that became definitely more dynamic. "Amor Facit" is more ambient. It's a beautiful track which embraces Steve Roach's sonorities, just like the poetic "Omnus Mundi", with fine tribal pulsations whose echo forges a light tempo which beats throughout celestial choruses to mold itself to a rich and enveloping mellotron. It's a beautiful piece of music for tortured souls. Composed in collaboration of Klaus Hoffman-Hoock, "The Call" begins delicately in a bed of arpeggios which scintillate under delicate electronic percussions. Gently Klaus' guitar lets free some sweet notes which introduce us to a very beautiful synth solo, before that the electric guitar of the German magician transpierces "The Call" with gorgeous incisive solos, making it increasingly mordant. Boots and Hoffman-Hoock is simply a superb artistic union which embraces the fragrances of Pink Floyd and Mind Over Matter, especially with the fusion synth, mellotron and guitar which encloses "The Call". ''Cuivienen'' is a superb softness. At once romantic and oniric, it flows like a long river of serenity with its astral intro floating around a soft fluty mellotron and its enchanting breathes as well as some synth layers which bloom on a shroud scintillating of dreamy prisms of which the soft solos embrace the sounds of the very first music of Kitaro. It's soft title, almost meditative, which gets more life with fine synth sparkles and soft pulsations to light resonant timbres, pouring towards a cheerful finale thanks to a piano jazzier than serene from which notes slice on a mellotron to soft contemplative daydreams. Bells and a heavy orchestral arrangement initiate ''Gwahir'' that a heavy resounding sequencing amplifies the sonority without ever accentuating the rhythmic part. It's a loud title which moves its arpeggios in a sound universe with orchestral ambiguities and on a discrete synth whose whistles add an endearing depth. 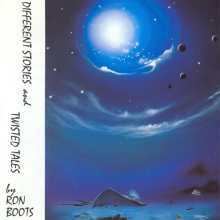 "Different Stories" concludes with an electronic approach equivalent to "Twisted Tales". The intro is passive with the low pulsations which intermingle to heteroclite tones beneath the veils of a sweet mellotron and of a drum which hammers a loud and curt movement, embracing a fine sensual approach with a beautiful bass line which throbs among crystalline notes. Limpid notes dropped by two keyboards which subdivide a melody to make a contrast with the heaviness of slow knocks of drum. The whole thing evolves in a superb sequencing approach which is encircled by long and sinuous synth solos, zigzagging with acuity among a nebulosity filled by mellotron choirs. “Different Stories and Twisted Tales” is certainly what one could consider as an inescapable work in the chess-board of EM. Different stories on much variable styles that pull the minimalist EM out of its bosom to hug rhythms in constant evolution without ever neglect the harmonious approach so dear to Ron Boots. Kikai, for ocean of energy, is Marius C. Hammerich's musical project that seems strongly inspired by the Teutonic tempos of Software and the intergalactic atmospheres of Jean MichelJ arre. And Kikai is not exactly a new player in the chessboard of modern EM. It's since 2005 that Marius C. Hammerich composes an EM which serves the cause of humanitarian works. Distributed by the independent label Kikai Kigalu, his music is also available on several download platforms and the profits go to various charitable works. “Labor” is his first album on a major label (Syngate) and contains a variety of melodies well camped into approaches of New Berlin School of the 80's with light and lively rhythms which go alongside to cosmic atmospheres. It's exactly with these electronic cosmic tones, shaped in the memories of the galactic works of Software, that "Past" titillates our eardrums. The rhythm is fluid and hangs onto sober percussions which mislay their strikings with the jumps of crystal clear sequences. 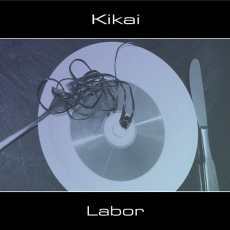 The rhythmic universe of Kikai abounds with tones which excite the hearing. Here it's tones of duck which cackle softly, adding a psychotronic depth to a soft lunar down-tempo where lives a soft melodious approach decorated by solos of which the cosmic charms float on a bed of sequences and percussions with strikings and tones as varied as arrhythmic. "Hope" is more experimental with very ethereal atmospheric approach. A soft piano shells its notes in an ambience congealed into heterogeneous tones where synths moan like badly caressed guitars, merging their abandons in a beautiful morphic melody which blows its charms on a bed of riffs and sequence teeming with a parallel rhythmic life. "Chant" follows the harmonious bow of "Hope". The synth divides its wandering melodies in rich angelic reedy voices which chant on a tempo the movements of which have difficulty in swirling in a broth of cosmic effects à la Jarre. Morphic and carouselic, "Thunder and Love" makes swirl its delicate rhythmic riffs into vapors of ether. Schemer with its breaths of perditions and its voices which harass the peace of mind, the synth instils to this track, as well as on the entire “Labor”, a fascinating cosmic/poetic aura which bewitches with its very Jarrish influences and tones. "Wish" amazes with its sequences in tones of peak-wood knocks which lets off steam on hollow wood. The rhythm is strange. It clicks from everywhere, gauging the shape to take with muffled pulsations to glaucous reverberations. One would say a somber hesitating walking by a Halloween evening with imperfect leaps which zigzag in wide semicircles beneath some not really inviting solos. It's a very good track of atmosphere that manages to collect its sequences and pulsations in order to mold a more coherent rhythm. To listen to at good volume and earphones to seize the full dimension of it. "Transparent Dreams" pursues this dissection of Jarre's cosmic influences with tones of extraterrestrials and voices of outer-space which murmur in an absolute void. The rhythm unfolds vaguely with a good bass line of which the resounding notes get mold subtly to the meshes of a sequence to progressive rhythm. The solos have difficulty in piercing all of this sound opacity. The screams get lost in the mists of Orion, preventing a latent rhythm from blooming, quite as in the very magnetic "Seahorses"; a long morphic and seraphic ballet that has difficulty in climbing its intense cosmic veil. "Turn" bathes in an intense melancholic broth with a furtive rhythmic approach which floods its uncertain sequences in of tearful strata of a synth to orchestral tears. Another harmonious phase gets free of this influence of sadness with sequences which click in the winds of the weeping solos. And the more it goes and the more it's heart-rending. Totally atmospheric "Winter" scatters its weak pulsations, its futuristic beeps and its riffs into the psychotronic lavas of a synth to lamentations and coils as much ghostly as wintry. Concerto for voice mislaid in a rhythm in perdition, "Decent" shelters its slow harmonies which drag like lost souls. The contrast of tones and rhythms is quite bewitching. "Gates" plunges us into the Teutonic rhythms of Software with a chain of sequences which swirls into a hypnotic glass carousel rolling under a sky blocked by dense layers of a synth of which the twisted solos are unfolding on percussions which abandon their sober strikings to become, knocks by knocks, stormier. "Relief (Tribute to Japan)" offers an approach tinted by sadness with ghostly sequences which roam with a fear of disturbing. Bubbles of water explode here and there, bringing a dimension of video game to a title which quietly goes out of its melancholic embryo to offer a soft electronic ballad where some echoing riffs are waltzing in the perfumes of exhilarating solos to the nostalgic tints. Oceanic waves, funeral bells and audio reports furnish the apocalyptic decoration of "Tribute to Japan" which parades in our ears like a cloud of sadness on a land for ever broken. With Parallel Worlds, the musical project of the Greek musician Bakis Sirros, we have to expect the unpredictable in all its surprising magnificence. Begun in 2008 and worked by e-mails and the magic of the Internet with Alio Die and India Czajkowska, “Circo Divino” is a strange mystic reverie where the listener is constantly pull between the unreality, the quietude of mystery's inconsistency and the enchanting beauty of odes from a fantasy world where goblins, ghosts and trolls cavort in a sonic forest in which the paths are crossing in a delicious hybrid musical world where the ambient form rides on slow and heavy rhythm in a full array of tones as much mystifying as heterogeneous, waking and renewing the imagination as well as the delight in each listening. A hypnotic synth wave with slow undulations which soak in a tinkling ambience opens the frontiers of "Lost Fractales". This first reflects the mood which will reign all over “Circo Divino” with a vague rhythm, but of which the evolution is in constant progress, thanks to the intensity of movements. I do believe it's called progressive ambient as it's not entirely atonal, cause the passive rhythm remains constantly suspended. The listener is under the charm of a sonic wealth of the most original where vocalizes of young girl becoming a woman overhang a sonic environment at once caustic and metallic. A strangely rich musical universe that bends under the weight of its harmonies, hiding beneath his uncountable carillon tinklings. Revealing thus a world of crystalline prisms tones and of guitar chords lost in a mist of glass. Letting also hear percussions as much discreet as effective and modular movements as abstract as heterogeneous which create an efficient dramatic tangent. The title track "Circo Divino" sounds like a strange cerebral western with its undulations which imitate the approach of a lonesome cowboy. A cowboy who crosses a somber valley of which the narrow musical paths are filled with sonorities that would widen a mood of night-terror. The rhythm is always so hazy. It floats among an atonal, but infernal, world where tones of rattlers, winds of ether, undulation lines and aboriginal spectral waves are converging in a fanciful world where the power of sounds prevails over a structure of a slow dreamy maelstrom which sinks and over the frenzy hits of veiled percussions which drum slowly under a sky darkened of bitting streaks and of strata as much metallic as howling. This is cinema for the ears! More alive, "Nuvole di Palissandro" is pulsing beneath some beautiful surrounding synth layers, which are warmer here and filled by aromas of flute, in an ambiosonic pattern as much mysterious. We have the vague feeling of being buried in a cave stuffed with some thick morphic clouds. Doubtless, it's the most melodious track of “Circo Divino”, and this even if it's quite oppressing. Just imagine the rest now! "Sorinel" soaks in a unreal sonic decor with heavy pulsations of which the accelerated pulse, the furtive whispers and the somber oscillations of a metallic synth are plunging us in a delicious sound paranoia. A little bit as in "Lost Fractales", the beat is broken and oscillates beneath some crystalline prisms and guitar chords appearing from a sinister tones swamp where the scattered voice bits of India Czajkowska are sliding towards a soft insanity which stirs under the pulsations and the more and more frantic suctions of a synth still freeing muddy tones. As its naming indicates it, "Electrostatic Forest" is gobbled up by tones of twinkling prisms, shaping a kind of electrostatic spectral effect in a cave filled of infinite crystal droplets. Without question, this is the quietest track of Parallel Worlds' last musical madness. "Slide of Grace" concludes “Circo Divino” like "Lost Fractales" had begun it. It's a long arrhythmic track where the tempo remains indecisive and finds its assizes beneath its strange mix of percussions and pulsations which scatter the rhythmic trail of “Circo Divino”. The mood is always so twisted with its tones of glasses which get mixed with the heavy drones floating on stable reverberations, mixing the modular breaths of a sometimes harmonious sometimes abstracted synth in an always heterogeneous universe where the harmonies glean here and there within the reach of intuitive ears. In the experimental ambient genre, “Circo Divino” remains what is made of better! Bakis Sirros, Alio Die and India Czajkowska unite their experimental sonic perceptions to offer another kind of ambient music. A dark ambiospherical music where the rhythm arises from the intensity of the Modular oscillations and by the enchantment of the countless sonorities which invariably draw strange arcs and sound modulations which hook the hearing and command some new listenings. A fascinating musical world, unique to Bakis Sirros' perseverance and audacity for his constant quest for new tones in the den of dark ambient music and of which the fusion with the master of drones that is Alio Die can only give surprising results. 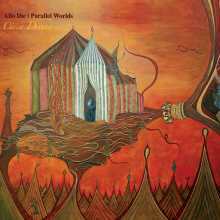 An album to the measure of this musical fascination for fans of sound and musical experiments, because beyond all its perceptions the approach of Parallel Worlds remains inexplicably harmonious. A Robert Rich and Markus Reuter union can only give an astonishing result. “Eleven Questions” for 13 tracks! All of them starting with the letter R. We could believe that we are into a total tetanized delirious here. There where the fusion of these two alchemists of sounds is bubbling at the border of their imaginations. Composed in only one week, “Eleven Questions” is an album which is necessary to listen deeply with an open mind on a tribal cultural world where sweet flutes get mix subtly with guitars in an arid atmosphere. Strange and dark titles like "Reductive" and the sinister "Remote" which thunders on ogresses percussions. "Reluctant", "Refuse" and the heavy "Remainder" are titles a bit charmers but always so tenebrous, like "Reminder" and "Recall". There are "Relative" and its jazzy vaporous style, "Refuge" and its black nostalgia as well as "Rebirth" and its softness which floats on a six strings whose sharp-edged notes arouse an uncomfortable and a strange charm. We can even hear titles with heavy and slow rhythms which succumb to an unexplored sensuality, like "Retention" and its loud bass and "Redemption" and its atmospheric wandering. In short, all the musical possibilities are meticulously visited and worked with an atonal heaviness which succeeds to attract the auditory curiosity. The voices and the flutes are superb. They fit perfectly well with all this strange musical phenomenia where some hallucinogens form a wonder of sound abstraction which pours from all around this silvery disc. And these long forms of bizarre reverberations floating around like iridescent spirits over desert rituals are deep intense movements of ethereal strangeness. How can't this not be good? Destroying the myths of a music without motions whose dark ambiances fill the abstract walls of a land of perdition, Rich and Reuter succeed quite well in producing 13 titles, all as much strange than the others, in a context of an indefinable artistic sealing. Closed like oysters, the eclectic duet produces in “Eleven Questions” a sound universe completely deprived of innuendos to offer an originality that can’t be hum but which contains ounces of melody hanging around and hooking the hearing and senses with a strange enchantment. 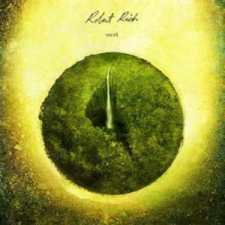 “Nest” is the last sound testimony of a tiny world in perpetual procreation signed Robert Rich. The lightning strike for the subject of his last opus came during his Australian tour of the beginning of 2012 when Robert Rich was the witness of a luxuriant tree-dwelling animal fauna which was born and swarmed beneath the diverse singings from a variety of orchestras of invertebrates. These singings of cicadas and tree frogs as well as the surrounding noises of a jungle in full awakening furnish the wandering melodies and the sweet contemplative atmospheres that are structuring “Nest”. Noises of branches, chirping and whistled singings of exotic birds awake "Memories of Wandering, Pt I" which meditate under an intense veil of mist. The meditative notes of piano roam as thoughts mislaid during a walking in mountain, reflecting the intense moment of solitude that encircles this last Robert Rich's album. These piano notes are piercing of their transparency a soundscape fed by angelic voices which whisper a spiritual ode in this paradisiacal harbour of serenity whom is "Memories of Wandering, Pt II". The 8 titles of “Nest” parade in a long papouasian tale where the peace of mind is the cradle of dreamlike melodious approaches. The 8 minutes of "Seeking Eden", with its flute and its tremulous breaths which float on the waves of a synth to ochred vapors, is a perfect example. "Moss Carpet, Sky Blanket" offers a darker approach with opaque breezes which float such as hollow clouds on a fauna whose rustles are covered with meditative bells. The lines of the pedal-steel guitar draw spectral ramparts throughout this long title which moves us deep within our inner peace with a pair of earphones. Moreover this correlation between instruments and noises of nature gives to “Nest” a mesmerizing harmonious depth that supplants the total absence of rhythms. This says very long on this stunning musical journey in the full heart of the Australian coasts forests. The rustles of leaves, the singings of cicadas and the iridescent winds continue to float such as radioactive effects on "Generosity of solitude, Pt I and Part II" on which only the scattered piano notes are resounding in an intense enveloping effect of solitude. The 2nd part is less organic. The long fluty drones shape silent incantations which wind a melody strewn by a solitary piano. The synth strata cast a voice veil over a pure moment of meditation where the balance of the universe is getting lost in all this immersive serenity. The violence of the winds which transports "The Gate is Open" shakes this tranquility. Even without rhythmic instruments Robert Rich is capable of atmospheric turbulence with howling breezes which glide in the ear like Siberian winds into caverns of ice. There is a whole paradox of the ambiences on this title with these piercing winds which tear the strength of silence and the quiet synth layers which are rocking the ambiophonic lethality in it. Layers which transpose their serenities towards "Memories of Home" where the percussions of cicadas are typing telegraphic messages and where the scattered piano note are weaving of unreal and paradoxical universes which glitter all the meditative poetry of an intense organic work. The more I dig into the musical universe of Bakis Sirros, the more I discover a great musician and an audacious artist who knows how to put in perspective his creative priorities without doing any commercial compromise. Interconnected is his new musical project that he forms with German synthesist Ingo Zobel, putting together a duet of musicians fond of a strongly experimental music. 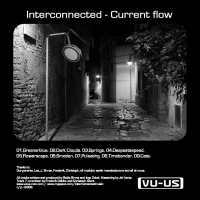 “Current Flow” is a first, and only one to date, album. A mesmerizing album filled of minimalism rhythms which go through strewed paths with colorful tones. This album took 3 years to make, a period of time where the 2 accomplices attend to their respective careers, keeping time to create this surprising sound journey of which the exploration of musical forms, so eclectic as they are, combine brilliantly in a soft perfume of sound freshness. Furtively, "Greenerblue" introduces us to “Current Flow” with a fine sequence which jumps in loops beneath a soft mellotron veil pierced of fine arpeggios which fall as an unreal rain. A minimalism intro where the charm worries oneself of its jingles of cymbals which announce the arrival of a rhythmic disturbed by the sparks of several percussions. These nervous and indocile percussions fuse out of everywhere to support a structure soaked of heterogeneous tones to which a soft celestial voice adds a dreamlike depth. This opening reflects the dyad ambiance that surrounds each track of “Current Flow”. "Dark Clouds" presents a more intriguing structure with a tempo which waves languishingly and whose chords floating with hesitation add a sinister touch to this effervescent sound dryad which is between Steve Roach's sound landscapes and the very syncretic world of Ramp. "Springs" gropes forward on a hesitating pace which hiccups under a musical sky streaked by a rain of metallic stars. Here, as almost everywhere on “Current Flow”, the approach of the synth mellotron brings an astral depth to a title which embraces the steams of a renewed Plastikman, quite as on "Smotion". "Deepestsespeed" is boiling of agitation and rhythmic nervousness. It's a very beautiful title that recalls the fanciful deserts of Roach with its sounds of rattlers which wind a tribal tangent livened up by a frantic tempo and where colorful and indefinable voices plunge us into an absorbing hearing paranoia. "Flowerescape" is in the same lineage as "Dark Clouds", bringing us to more peaceful and more limpid rhythmic proportions with a slightly nervous tempo that crackles of a thousand and one percussions, as much varied as unusual. The synth is dropping its breaths among heavy reverberations while fine crystalline chords pierce this nebulosity to create a more harmonious musical universe where the rhythm gives the strange illusion to increase around rich wrapping strata. Heavy, "Pulsating" reminds me of Johannes Schmoelling's surprising sound universe on Wuivend Riet, with its multiple shouts of locusts which rock themselves in the blackness of a night filled of sounds strangeness before biting the rhythm with more heaviness towards the finale. It’s one of the best tracks on “Current Flow”. "Timebender" is strongly tinted of a metallic ambiance with its anvil percussions which shape a tempo as heavy as slow around some hesitating arpeggios which float with a strange grace in this industrial apocalypse universe. "Cats" ends this 1st Sirros/Zobel collaboration on a touch just as much eclectic where we recognize cats mewing towards a dense minimalism veil where percussions and keyboards chords are tumbling down in echo on a tempo which is on the borders of atonality. Ambivalent borders which strew an album with harmonious conflicts, but strangely musical, which is situated between audacious Roach or industrialized Ramp and Plastikman on slow lifelessness evolutions. If you want something else. If you like music and its eclectic pleasure, “Current Flow” is a very good album where rhythms and ambiences are soaked in a pond of 1001 sound pleasures! For so calling experts, David Wright's music is simply New Age. As if it would be impossible, even unthinkable, of making harmonious and melodious music without being labelled as a New Ager. Of moving works such as Voices (Vangelis) and The Songs of Distant Earth (Mike Oldfield) were wrongly catalogued as being New Age, whereas they are all simply jewels of tenderness on hybrid rhythms that flow slowly to support a world of electronic harmony. “Walking with Ghosts” is part of these mythical works which will exceed the wear of time. And yet, it's an album which allies fury and melody on powerful rhythmic whirlwinds and on delicate morphic flights. And in this mixture of two antipodes with so breathtaking paradoxes, nests one of the most beautiful melodies to have emerged from the depths of a musical art to the infinite possibilities. For these three reasons, “Walking with Ghosts” is an authentic classic of the modern electronic era. A strident synth veil tears up the absence of sounds. And "Going Down" falls from space dressed in its reverberations which roll in a black cosmos, bathing of hardly audible voices which murmur in a somber sinister atmosphere. "A Certain Malaise" wakes up the malaise with a sharp rhythm. The percussions bang in the furrows of a strong line of bass which spit its cooing throbbing notes, molding a nervous rhythm which teams up to the moiré harmonies of Bil Kibby's guitar. Boosted, the ambience gets watered of a scent of a galactic western which rolls at countercurrent in the layers of a synth to mellotronned subtleties. "Road to Nowhere" hangs on to this jerky and breathtaking up-tempo with a crazy stroboscopic approach where sequences stir up feverishly under the multiple layers of a synth saturated of silvery tones. Of insane tones which cross swords with a guitar heavy of its riffs. Andy Lobban's guitar throws its sharp harmonies which bite the melodious theme of a breakneck pace where frosty tones percussions and syncopated sequences reverberate their echoes on a galloping rhythm which wraps itself of a spectral synth. Faithful to his approaches tinted of a serene melancholy, David Wright sprinkles his wild rhythms with smooth mellotron strata. Strata which draw tears of violins and which calm the storm on "Midnight in the Shadow of Temptation and Delight". These soft gliding layers rock the shouts of a solitary guitar which embraces a sort of celestial blues, caressing in the passage a languishing bass. We would believe to be between Pink Floyd and Code Indigo. This quiet passage is fast hunted of our dreams with the bubbling "Return of the Nomad" and its circular rhythm soaked into eroded lines. We go back to the initial stroboscopic structures where percussions, sequences and pulsations intersect and pulse in all directions, shaping a kaleidoscopic rhythmic approach and whipping of harmonies torn to pieces by a furious guitar and its metallic lines as well as by synth layers to vapors of fire and choirs wandering in prismic clouds. That’s intensely powerful and violent. David Wright bursts out by shelling the first 17 minutes of “Walking with Ghosts” which roll in a very fast pace. Of clouds blocked of iridescent tones enclose "Return of the Nomad" and weave the musical bridge which goes towards the splendid "Beyond Paradise" and "Night Moves". Two titles which make only one and which build the assizes of a mesmerizing. A classic of David Wright's repertoire. The rhythm is slow. Much slower than a down-tempo with glaucous chords which rise and fall under the breezes of a spectral synth which multiplies its waltzing loops on a theme that tears up the heart and splits the soul. Mellotron pads raise the backbone and tears away these sighs which prickle us the nose and wet the eyes. If you have the blues, it's the kind of sweetness to make you shed tears. We believe to have reached the paroxysm of sensibility when a saxophone throws us a solitary breath to be made swallow our sighs. Even my poodle got the blues. It's a ballad which turns us upside down. Absolutely sublime! After this heart-rending passage of emotions we enter into the atmospheric phase of “Walking with Ghosts” with "Darklands". A beautiful piano wrapped by a synth with violin strata serves us as guide. Melodious and minimalism it collides slowly on strange sound effects, as if a parallel world would follow this nostalgic walking. The synthesized sighs embrace an invisible connection where the ghostly violin of Ciona Lee crosses the guitar of Andy Lobban on "Flame Sky"; a very atmospheric track with odd oriental percussions on an absent tempo. A soporific guitar welcomes us on "No More Angels"; a slow title which waddles on violin strata before evaporating on a suave mellotron to be rock on a doubtful piano and a solitary sax which hide their solitudes on the comeback of undecided strata. "Too late Now!" concludes this portion in a cloud of increasing nebulosity, opening the door to "Walking with Ghosts", the title-track, and its birds’ shouts and church bells which get melt into a melodious piano which enchants with its neatness and its classical tone. Weaved in the shade of a synth to somber tones, this wonderful musical serenade flows with a delicate harmony filled by heavenly choirs. The dream stops abruptly to embrace a slightly hatched structure which swirls in a slow stroboscopic carousel, winding to a soft guitar to tones vaguely bluesy and a bass line with its muffled and resounding notes. The synth divides its singings and its mists on a melodic watercolor which dies out on the worn out strings of a forsaken guitar. A weak and scattered melody crosses the divinity of a melancholic piano of which the pinkish melody introduces us to this walking with the ghosts. We hear them complaining under the reverberations of the piano which crumbles off in the arms of a serpentine harp. A passage obliged to reach a soft final which tears us away from our musing on a livened up tempo. A finale with big orchestrations that makes of this walking with the ghosts, the most beautiful of the walks. 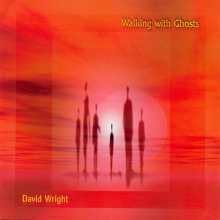 “Walking with Ghosts” is a stroke of genius where David Wright is architecting a long musical event in several parts linked in one fantastic musical odyssey. Rhythms and ambiences are constantly rocked by harmonies, happy ones as sad ones, which tease the ear with a splendid orchestration. This is melodic EM at its best! I never grow tired of hearing the music of David Wright. With each new album and style, he imposes his very musical works with a stunning harmonious cohesion. For some, his music goes away from the Berlin School or England School territories with a more coherent structure which looks for more the harmonies than the confusion. Fans of EM may debate the point; but who says that beauty can have only one visage? “Connected” travels melodiously in the furrows of the brilliant “In Search of Silence”. David Wright creates the canvas of a wordless story where the listener is called to furnish his fantasies upon the precision of a musical soundscape where the slow crescendo is as much harmonious as emotional. The first act of “Connected” extends from "Elemente der Psychophysik" to "Picture Thinkers" with a rhythmic approach mainly driven by "Constant Perceptions" and that journeys between a soft techno and a suave down-tempo. The musicality emerges from a distant blade of synth which lays a musical aura to subtle philharmonic veils. The intro undulates of its synth layers which float and glide across an empty sky filled with prismic cosmic tones of which the tranquility is briefly disturbed by an isolated kick. Our ears are caressed by the voice of a solitary ocarinathat awaken an enchanting world swirling around pulsations and percussions which resound in space. These breaths awaken an enchanting world, while that hove muffled pulsations and percussions which resound in space. Their echoes eventually weave a mass of sequenced ions which pound with an increasing ardour, weaving the minimalist rhythmic structure that will shake the harmonious carpets of “Connected” first verse. The rhythm embraces a shy technoïd tangent, while that "Constant Perceptions" goes deep into our ears by a suave voice that flirts with a sense of desire. Such as a painter and his canvas, David Wright paints a fascinating picture with his synths. The evolution of a hypnotic rhythm with persistent pulsing ions under delicious and complex solos which weave their way over a structure underpinned by philharmonic veils that imply the essences of Oriental nights. This animated rhythm, halfway between a soft techno and a down-tempo, is the cornerstone of the prosaic cradles of “Connected” first chapter. It grows in subtlety on "Sensory Perception" before reaching its zenith on "The Threshold of Perception". These three titles are connected by some quieter interludes, as on "Stimulous... Response" and its enchanting flute which sings on a bed of gentle pulsations and pads. A sparse rhythm switches shape into dazzling pulsations and crystalline beauty before charging into "Sensory Perception" then evolves into a denser orchestral structure underpinned by the chords of a fascinating sitar. "The Science of Consciousness" isolates itself on silvery sequences which swirl in felted ambiences, before being helped by a bass line and to beat towards "The Threshold of Perception". "Sensory Overload" is a fine astral bed song that allows its chords to swirl into a fine timeless spiral. Other chords are grafting there. Shy, they roam and ring of a hesitating approach, hanging on onto of smooth celestial voices to gradually be absorbed by the silence of the celestial bodies. The fans of Vangelis will be on familiar ground here. Simply delicious! A delicate gong opens "Into the Void" which still retains the vestiges of "Sensory Overload" but which also signs the end of the Arabian fragrances from “Connected”. The mood is rather of a soft cosmic tint with strata which snivel in the lanes of time. The synth layers merge their silvered tones with celestial choirs to gently embrace the scattered melodic tones which bind themselves to the gentle rhythm of "Confusing Ambiguity". As the pulsations fall, so the remnants evolve into a rhythm which bends its harmonies under the oscillations of a good bass line and a rain of jumping ions, entailing in its chaotic rhythm the jingles of cymbals. It spreads into a wide rhythmic pattern that builds with a fusion of pulsations and palpitations, as "Confusing Ambiguity" shells its seconds. The percussions and funky chords bring us towards the heavy riffs of an electronic guitar which casts its resonant shadows on the intro of "Picture Thinkers". The rhythm is heavy and slow. Like a monument of hypnosis it flows lazily, drawing ample circular bows under the splendid solos of a synth which reminds us that this instrument is not only a smith of noises and atmospheres. 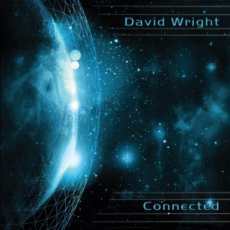 The last chapter of “Connected” shows us how much David Wright roots the fact that he is doubtless the most beautiful feather for one to lay an EM which allies of impetuous movements of sequences pounding under superb melodious approaches. Electronic chirpings open "Signal Transduction". From an Arabian world, we go to a futuristic universe à la Blade Runner with these so harmonious synths which outline some intense philharmonic veils. The impact combines the beauty and the drama in an ambience which displays all the influence of Vangelis over the English synthesist. We swim in full cosmos and we are feeling good. But the best is yet to come! Too often, the music of David Wright made my arms' hairs try to sting my heart. You know, these hairs which are directly connected to our emotional sensor? Well, he does it again. The way "Connected" strikes our brain is colossal. The rhythm is slow to start and it explodes through the barrier of the ambiences with heavy pulsations which beat among of more discreet percussions and rhythmic elements that sounds like an epic melancholy film finale. A beautiful melody with oriental flavor is nesting in the hollow of this heavy rhythm which pours into "Social Contagion" where choir and angelic synth lines get unite to draw the last drop of emotion from the stream of melodies in evidence throughout this David Wright's 24th opus. The synth solos lift the mood of a profound melancholy, rocking our repressed hopes towards the distant tranquility of "Invisible Web" which closes another David Wright's big work. I would say to you that it’s his best that I would still repeat myself again. It’s simply grand. This is great music which grabs us from the inside, haunting our ears always and always. But we are used to it. After all, it’s not him who gave us the immortal Walking with Ghosts? Finally, the fine music of Bertrand Loreau crosses the France borders. Fascinated by the revival of a French EM in constant effervescence, Lambert Ringlage has decided to make his ear much more curious in order to deeply discover a musical universe which transcends the borders drawn by Jean Michel Jarre. And the boss of Spheric Music has succumbed to the immense poetic approach of Bertrand Loreau. As its naming explains it, “Journey Through the Past” is a flying over the career of the synthesist from Nantes where Lambert Ringlage made a judicious selection of 9 titles composed between 1982 and 1988. Nine tracks that show all of the versatility of Loreau who is very at ease in a psychedelicosmic style than into a progressive Berlin School or in electronic synth-pop. 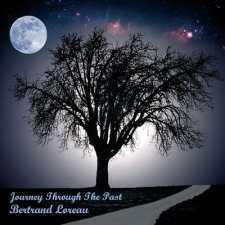 Presented within a new musical envelope, which respects all the poetic depth of this smith of timeless melodies, these pieces of music from Bertrand Loreau are more than just a journey in the heart of a music forgotten in the bend of a too fast evolution of the digital technology. It’s an artistic excursion in the universe of a composer who redefines the scales of melancholy on an EM which makes the bridge between the works of Klaus Schulze, Tangerine Dream, Vangelis and Jean Michel Jarre. Like a pianist of electronic jazz alone with his sorrow, the first chords of "Le Ciel est Jaune d'un Liquide Inconnu PII" float in the air, like grief does in vapors of alcohol. Very different from the version that we find on Réminiscences, "Le Ciel est Jaune d'un Liquide Inconnu PII" offers a duel between solitude and company with joyful synth strata which twirl around between passages of an electronic keyboard to forsaken chords. An intense synth wraps the waltz of those mixed emotions, adding a perplexity to a movement of duality. This first title sets the tone to an album divinely lyrical, a musical mark innate of this French School composer with a zest of Vangelis. We have difficulty in recognizing "Le Ciel est Jaune d'un Liquide Inconnu PI" of which one retained only its second portion, versus the one that nests on Réminiscences. This pure wonder is an ode to Berlin School with a much more fluid rhythm where sequences jostle in a superb movement of a minimalist symmetry. Such as strikings of a glass xylophone, the sequences are moulding a fast walking under the zigzagging streaks of a synth lost among dark voices. It's a mini festival of chiming that digs our ears before embracing a more lunar phase a little after the 5th minute. The movement becomes then a profound exploration of an abstract galactic universe with synth blades which slow down their harmonies in a sidereal space where accumulate of slow fusional lavas with musical rays very near the explorer paths of Synergy on Chords. And it's supported by delicate electronic percussions that the rhythm releases itself from this intergalactic yoke, rushing headlong of its pace à la Klaus Schulze towards more celestial harmonies. It's a huge track of which we find the rhythmic vestiges on "Moog on the Moog" and its strong Schulzian approach which navigates beneath wild twisted solos. "Summer" pours into our ears with a mesmerizing harmonious approach. The hypnotic melody is weaved in a series of chords from which the shadows get juxtapose in a fascinating echo to roll in superimposed loops. And we let ourselves rock by this serial approach which allies magnetism and tenderness in a musical envelope in constant ubiquity of the airs. Jingles of percussions, which flutter as typist's strikings, come to ennoble this mnemonic rhythm whom the intra evolution doesn't stop growing rich of external elements which oversize a surprising electronic bed song rich of a powerful worm of ear. "DX Seven Age" is the epic track of “Journey Through the Past”. The intro proposes synth layers which cry in an ambience of hurdy-gurdy baroque music. These moaning, which waltz of their sorrows in a cosmos starred of ochred dusts, fade little by little revealing a sequential approach which makes its keys waddle under the aegis of a synth to solos and twists sounding so antique. Sequences bounce along on a lunar rhythm before being harpooned by electronic percussions, plunging "DX Seven Age" towards a strong electronic rock where spirals in the shapes of glass ballerinas and shrillness twirls go out of breath on a rhythm which little by little goes astray in the vapors of a cosmic nostalgia. We are in the 9th minute point and the fragile keys pierce crystal clouds, drawing fleeting romances with melodious wanderings à la Vangelis (Apocalypse des Animaux and Ignacio) where delicate hesitating chords are curtseying in cosmic mists filled by delicate cinematographic aromas. This is simply beautiful and it’s a wonderful mixture of harmonious and cosmic universes that have made the delights of the electronic movements from the analog years. "Mickie Love Song" is exactly a ballad to the analog perfumes of the Space Art years with a slow rhythm which is pulsing under a synth to lines of mellotron mist and melodic rays. The drum of "Welcome to the Show" shapes a nervous rhythm of a kind of free jazz which rolls under the loops of a synth to cherub tunes before espousing a heavier and livelier structure which is similar to a lively cosmic rock. Nervous, "L'Arpège a Tord" is another title inspired by the French School of Space Art with a rhythm rolling like an escalator under a bed of arpeggios that the idle undulations are charming a firework of analog cosmic tones. "Meeting You" ends this first collection of Bertrand Loreau's electronic poems outside the territories of France with a wonderful lunar ballad which gives us the taste to dig further more in depth these rendezvous of melancholy. The tears of keyboard float of their steps of ethereal dance, forming by moments some acrobatic tendrils which swirl like a neurasthenic ballet in a carousel of regrets. It's very beautiful, even intimate, a little as if Bertrand Loreau had this capacity to see in each of us.